Ever since its launch in 2014, the Total Age Correction formula has combined Lancaster Laboratories’ three best anti-ageing technologies – understanding of DNA repair, innovative use of retinol, and, of course, renowned expertise in sun protection – setting the standard for addressing all signs of skin ageing. It has now entered a new era, opening the door to an entirely new dimension in skincare. Still in one ultra-powerful formula, new generation TOTAL AGE CORRECTION upgrades itself by adding the latest breakthroughs to amplify both the anti-aging action and the skin's natural glow. The range’s comprehensive approach to skincare addresses main environmental factors, simultaneously targeting wrinkles, sagging skin, and dark spots, and boosting your complexion’s natural glow. • Cell Repair: DNA technology to help support natural skin DNA repair to sustain essential cell functioning. • Cell Renewal: Bi-Retinol™ Complex to help regenerate skin and fight against wrinkles, lack of firmness, uneveness. • Cell Protection: exclusive UV + Infrared Technology to help prevent dark spots and premature aging, acting from skin surface to deeper layers. ** From women's opinion after 4 weeks in a 28-day consumer test on 102 women. Team Total Age Correction with 365 Skin Repair Serum to significantly boost* moisturizing performance. Your DNA is damaged every day. Though it is programmed to repair itself, this process slows down with time. In the long term, gene expression changes as a result. Environmental factors can cause this phenomenon to speed up even more. To help DNA continue to fulfil its role, Lancaster Laboratories have developed an exclusive complex, using several plant extracts, including pongamia, green coffee, green tea, and bitter orange peel. However, the brand’s gene-centred approach doesn’t end there. 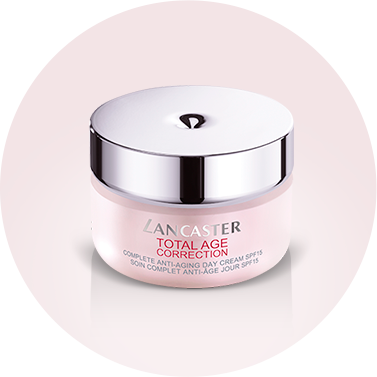 Lancaster has boosted the effectiveness of the Total Age Correction range by adding plantain extract. This plant targets disruptions to the epigenome by weakening mechanisms that prevent proper gene expression. Result: cellular function is optimised. For the first time in the industry, in 1976, Lancaster started adding retinol—the market’s most effective anti-ageing ingredient—to its cosmetics. Since then, its innovations have focused on delivering this agent to the skin. It is not enough to simply add retinol to a formula; it must be able to be effective once it’s there. Lancaster Laboratories encapsulate retinol in natural bio-polymers, which optimise the formula’s ability to penetrate the skin in order to combat damage and deliver the product where skin needs it most. When applied to skin, retinol boosts collagen, elastin, and TIMP1 (a destructive enzyme inhibitor) synthesis. The new Total Age Correction formulas also feature soya extract, which is rich in glycoproteins and polysaccharides, and helps increase collagen synthesis. Result: skin looks regenerated, suppler and firmer, and wrinkles are less apparent. First developed as part of a suncare range – and for the first time ever in the cosmetics – Full Light Technology protects from UVB and UVA rays, infrared light, and visible light. This Lancaster innovation acts on three levels. First, it redirects visible and infrared light with a system of synergistic reflectors. Glass micro-spheres that are biologically compatible with the skin, paired with iridescent pigments, act like mirrors on the skin’s surface. Secondly, this technology absorbs UVA and UVB rays and part of visible light through filters that protect the skin from the sun and prevent hyperpigmentation. Finally, Full Light Technology contributes to neutralise oxidative stress caused by sunlight with a unique combination of antioxidants, including vitamins E and C, and ChromAOX, a lipophilic ingredient, and a combination of five natural extracts. Result: skin is protected from dark spots and premature ageing. 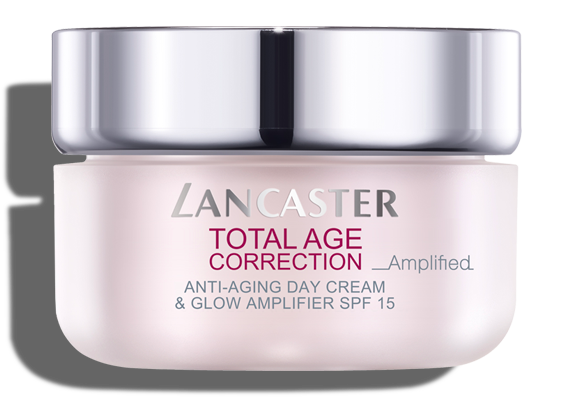 *This technology is used in the entire Lancaster Total Age Correction range. **This technology is present in the Day Creams as well as Retinol-in-Oil, which has a particularly high concentration. ***This technology is featured in the entire Lancaster Total Age Correction range, except in the Retinol-in-Oil Night Cream, which is applied before going to bed, when skin is not exposed to sunlight.